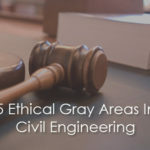 Ethics are integral to every decision, design, and service performed by civil engineers. On Jan. 28, 1986, the weather forecast in Orlando, FL, predicted a cold front that might drop temperatures to as low as 18 degrees the morning the Challenger Space Shuttle was set to launch. These temperatures were far outside the qualified temperature range, but the excitement and pressures surrounding the launch mistakenly pushed deadlines ahead of safety protocol. 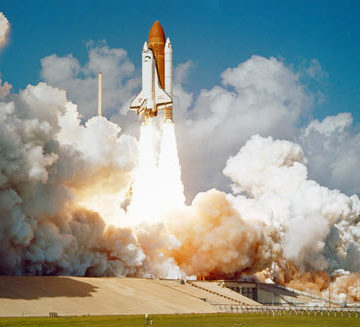 Allan J. McDonald, former director of the Space Shuttle Solid Rocket Motor Project for Morton Thiokol, stood up for what he believed in and served his moral obligation to inform his superiors, as well as NASA, that he thought that it was too dangerous to launch. “Never put an engineer in a position to prove that something would fail. Engineers have the moral obligation to prove something is safe,” said McDonald, whose advice was overruled that day to tragic consequences. The pressures of returning on investment can weigh heavily on the engineers in charge of a project. Deborah Grubbe, P.E., CEng., a former safety director for BP and DuPont, insists that no appeasement to shareholders and management should ever be made if it conflicts with the safety and integrity of a project. Grubbe believes that if management doesn’t spend time listening to technical advisors, businesses could spend time and large sums of money fixing avoidable disasters like the Piper Alpha oil rig explosion. She believes executives sometimes lose sight of the fact that they still may have more things to learn. Those who believe they are beyond learning set themselves up for mistakes down the road. “Every person should be able to shut down production in the name of safety,” said Grubbe. For companies to improve safety, Grubbe believes that it is essential that all engineers, managers, and the public think differently. “Are you willing to change your thought patterns?” asked Grubbe in Ethics Case Study 2. “Even if everyone is doing it, if it doesn’t feel right, it probably isn’t right,” said Terry Neimeyer, P.E., F.ASCE, CEO of KCI Technologies. An ideal work culture is guided by best practice, but too often it is instead guided by tradition. Neimeyer describes how group-think and workplace traditions can lead one down the wrong moral path. He looks at the types of financial and environmental pressures that can drive engineers to skirt their ethical obligation in the drive to compete for work. For engineers, a lack of communication can have devastating consequences. Engineers are responsible for the lives of the public and must ensure that all safety protocols are taken and communicated with all members of the engineering process – from design to delivery. In the case of the Kansas City Hyatt Regency walkway collapse in 1980, the expectation of the professional engineer was not fulfilled. The design plans were finalized without any established qualifications or restrictions as to the engineer’s assumption of responsibility. Just one year after the walkway’s opening, the second and fourth stories collapsed under the weight of dancing partygoers, killing 114. 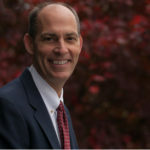 Check out ASCE’s all new ethics page on asce.org. These presentations were fascinating as well as enjoyable to watch. Registered engineers have to abide by the ethics laws of their state. It is useless for the ASCE to add their own set of ethics rules as they cannot be made mandatory and thus are of no practical consequence for the practicing engineer. Please keep up these kinds of presentations which ultimately point in the direction of how we can serve better as engineers.